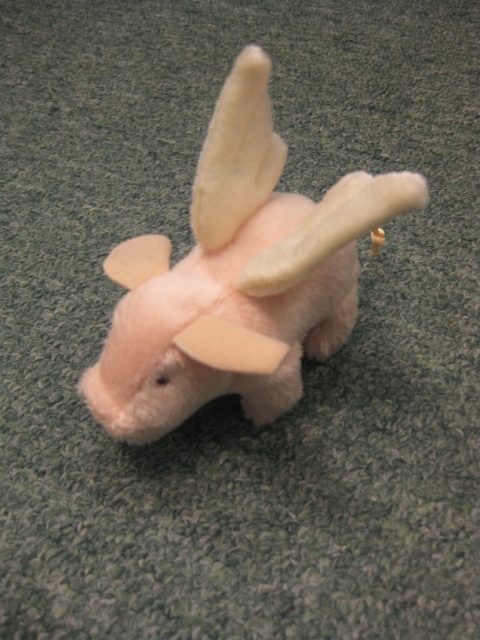 Mini pig with wings is a finger puppet from Folkmanis. Pig is 3.5" long. 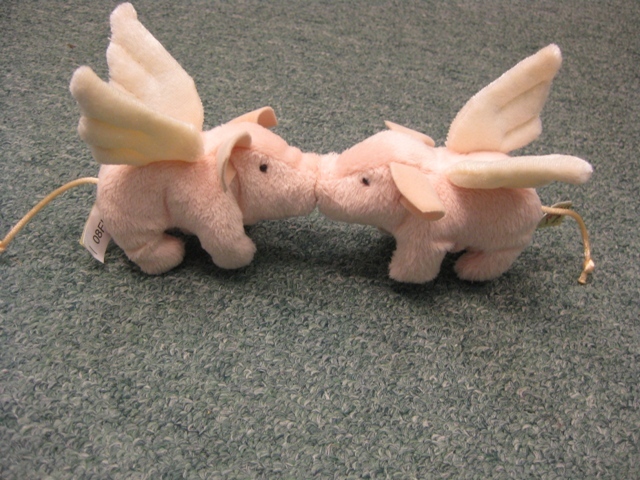 A magnet in the nose lets two pigs "kiss"